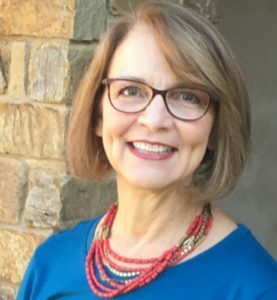 Janean Hazelwood has been a member of Acts 2 since 2015. As part of our Grateful series, she is sharing how gratitude has made a difference in her life. The last ten years have brought some of the most daunting challenges of my life. They have also brought unexpected joy and taught me to trust God’s grace. Through it all, I have learned to live with a heart of gratitude. I believe we have choices throughout our lifetime, and these choices are guided by what we know about the situation at the time the choice was made. They are not always good and perfect choices, but we live with the consequences, be they good or bad. God gives us control over our reactions. We choose to look at the good and be grateful, or we choose to be sad, angry, or bitter. I believe our relationship with God shapes our outlook on life and the choices we make. When we lost my husband and the children’s father in 2008, I must admit, devastation filled my head and heart. I filled the quietness with music. I began to sing those beautiful songs praising God. He was showing me all of my blessings. The Bible says, “Praise the LORD. How good it is to sing praises to our God, how pleasant and fitting to praise Him” (Psalm 147:1). It was hard, but I knew God loved me and would guide my steps. During this difficult time in my life, I was searching in the Bible on tithing. Was I supposed to pay ten percent of the life insurance I received when I didn’t know how I would pay the mortgage? Even the boastful Pharisee paid a tenth of all he received (Luke 18:12), so I gave ten percent to God and didn’t look back. I gave with a heart of gratitude, believing God would show me a way to get through the debt. A few years later, I retired and spent my time visiting family, volunteering at a free medical clinic, and going to Bible studies. This time had a profound effect on me and helped me learn to trust God. Life was good—until I was told I had breast cancer. I was so angry with God! He knew what was ahead of me when my husband died. How was I supposed to get through the surgery and treatments without him? So much for the heart of gratitude! I still had a lot to learn about trusting God, but life stinks sometimes. I was running through all the possibilities of how to take care of myself, and I couldn’t figure out how I was going to get to all these daily radiation treatments. Everyone was busy with life. I told God He would have to work it out because I couldn’t. Realizing that God was all that I needed was the beginning of my true understanding of how to place my struggle at God’s feet and ask the Holy Spirit to guide me. Another year passed, and it was time to sell the house we had built with our retirement in mind. There were several good choices, but I felt that maybe I was supposed to talk to my daughter Nicole and son-in-law Adam about moving to Edmond. They both liked the idea, and I wanted to be part of their lives. OK, I really wanted to spend more time with the grandchildren! The first house we looked at was where I was supposed to be, and we both knew it. I’ve lived in Edmond for four years, and I can’t believe how blessed I am with the friendships here in this community. Church has always been an important part of my life. It’s where I go to celebrate God and all He has given, and to remind myself I will always need to be fueled by the sermon. Acts 2 is where I belong. I have served as a teacher in the Children’s Ministry and continue to fill in when needed. I have watched our church grow, and with growth come growing pains, like not having the right facility to teach children about God. Sitting on the floor, trying to color their pictures on the carpet instead of a table. Still sitting on the floor, listening to their teacher share stories of God’s love, getting bumped when their neighbor needs to move around. 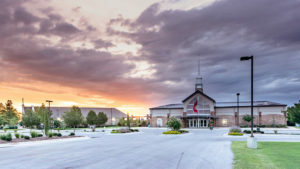 When our leaders started talking about building a new facility, I was excited! I wanted to know more, so I attended meetings. They are being cautious and mindful of the next steps needed to get us into a building where we can all grow together instead of sending our youth to the school next door. Yes, it’s time, and when they asked us how much, I prayed. I must not have listened well, because when the time came, I had the total amount available to give instead of spreading it out over the three years. I can hardly wait to see what God does over the next few years! Gratitude with an open heart has no boundaries!